SHARP’s Matthew Biehl on evolving men’s fashion industry | APEX Public Relations Inc.
There’s no doubt that men’s fashion has made leaps and bounds over the past few years, especially with designers incorporating more androgyny within their collections. SHARP magazine – the bible for men’s lifestyle and fashion – is definitely a source for the male consumer to keep up with the newest fashion trends and the influence from the runway. I had the opportunity to learn more about the developing world of men’s fashion from SHARP Magazine and The Book For Men’s Fashion Editor, Matthew Biehl on what trends he is witnessing in men’s fashion and the designers who are influencing the industry. What is the biggest surprise/change you’ve seen in the fashion industry over the past year, especially in men’s fashion? I think the biggest and most surprising change that I’ve seen in the fashion industry over the past year is the combining of menswear and womenswear collections during presentations. Some smaller brands have always shown this way, but when big brands like Burberry and Gucci are getting on board it gives you more of a sense that change is in the air. Financially and creatively it makes a lot of sense when both collections are designed by the same Creative Director, like they are at these two brands, but it also speaks to a growing acceptance and desire for more androgynous clothing and styling — there will always be the pieces that are more masculine or more feminine, but if you like something from the women’s side or the men’s side, why shouldn’t you be able to wear it? Jonathan Anderson, Creative Director at both J.W. Anderson and the heritage brand Loewe, and Raf Simons (Creative Director of his namesake line, and incoming Creative Director of Calvin Klein) are both good examples of game changers on the design side. Anderson is so young and talented and full of energy, he’s been able to build a brand right out of school as well as completely overhaul a stagnant luxury house, while Simons has consistently pushed new ideas and concepts in menswear through his own label, and has a chance to redefine minimalism once again at Calvin Klein, like he did while he was at Jil Sander. Designers are expected to do so much with so little time, and both of them seem to have found a balance that works for them, while pushing the boundaries of both men’s and women’s fashion. I don’t follow too many individuals in particular, I try and read and take in as much new fashion writing and photography as I can for inspiration. 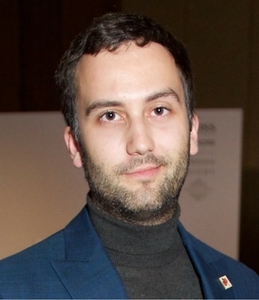 Alexander Fury has really insightful writing and criticism — he has such a fantastic knowledge of fashion history that informs his unique views. The team at W, led by Stefano Tonchi and Edward Enninful, always push the boundaries of creativity — just look at their September issue with Rihanna on the cover! I also really like the stories the photographer Erik Madigan has been doing for Harper’s Bazaar UK and New York Magazine — so ethereal and conceptual while still showcasing beautiful fashion. Do you see any major trends approaching in the men’s fashion world that might surprise others? Men’s fashion always takes a little while to change, you see trends evolve over the course of a few seasons as opposed to the constant influx of new ideas on the women’s side. Two things that have been showing up for the past year or two that I like, but some men have a hard time wrapping their heads around it, are the return of pleated pants and wide-legged pants — sometimes even together. I think a lot of guys remember similar clothes from the 90s that were pretty bad, but the new interpretation is much more wearable and modern. You’re looking at one or two pleats instead of three or four, and they’re more like darts/design details instead of gatherings of excess fabric. Wide-legged pants aren’t going to replace slimmer styles completely, nor should they, but there’s something about a roomier wool pant for fall/winter that seems so right. These questions were compiled by account coordinator Cole Douglas. Where do you find your fashion inspiration? Let us know on Twitter. NEXT: NBA gets it. Its peers just don’t.